Just over a week ahead of the Bank of Canada's next decision on interest bank, governor, Stephen Poloz says the bank must look ahead to where the economy is expected to be in 18 to 24 months when it comes to setting monetary policy. 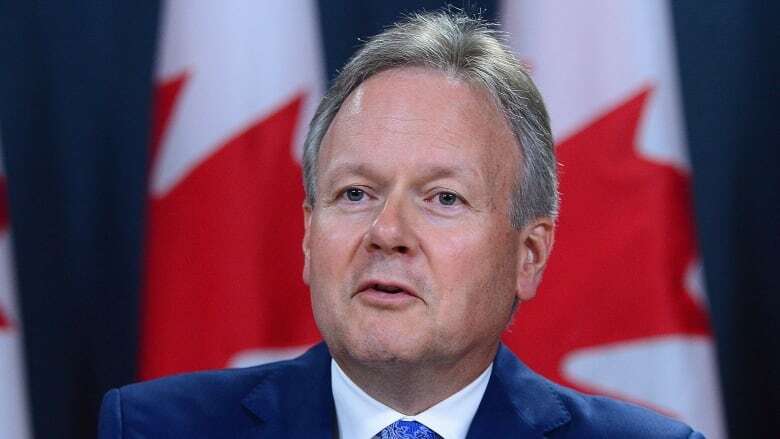 Just over a week ahead of the Bank of Canada's next decision on interest rates, governor, Stephen Poloz says the bank must look ahead to where the economy is expected to be in 18 to 24 months when it comes to setting monetary policy. "As our senior deputy governor said a week ago, when you are driving towards a red stoplight, you ease up on the accelerator well before you get there instead of waiting for the last second to stop," Poloz said in an interview with Germany's Handelsblatt that was published Tuesday. "If we only watched inflation and reacted to inflation, we would never reach our inflation target, we'd always be two years behind in the reaction," he said, adding that the bank must look to other inflation-predicting indicators. The Canadian central bank is due to release its next interest rate decision on July 12, with some economists now expecting the bank to raise rates for the first time in seven years. The Bank's target for the overnight rate currently sits at 0.5 per cent, with markets putting an 87 per cent chance on a bump of 25 basis points next week. In the interview with Handelsblatt, Poloz expressed confidence in the ability of Canadian households to weather a rate hike, despite their growing debtloads. "The [Canadian] financial system is very well underwritten, completely differently from the U.S. experience in the 2006-2008 period," he said. "People have a buffer in their finances in case interest rates do rise. There's quite a resilient structure to the market," Poloz added.